When Noreena became very ill she confronted a difficult question: who should she trust? The answer was much more complicated than it first appeared and her quest to find out more about her treatment led her to a deep scepticism about expertise. 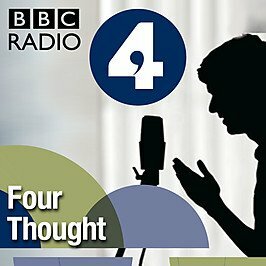 Four Thought is a series of thought-provoking talks in which speakers air their thinking on the trends, ideas, interests and passions that affect culture and society in front of a live audience. Noreena talkes to Jeremy Vine on Radio 2 on What Makes Us Human. Newshour debates whether big bank profits are a good or bad thing in the current climate. Noreena Hertz guest speaks with Allister Heath, editor of City AM newspaper. As anti-globaliszation protests are held ahead of the G8 summit, Cambridge economist Professor Noreena Hertz and Sir Mark Moody-Stuart, Chair of G8 Business Action for Africa, discuss whether business will aid or hinder Africa. Noreena Hertz has come to the conclusion that women are disproportionately bearing the brunt of our global development strategy, working for subsistence wages in conditions that are degrading and dangerous.